Initiated in March 2011, Tahrir Documents is an ongoing effort to archive and translate activist papers from the 2011 Egyptian uprising and its aftermath. 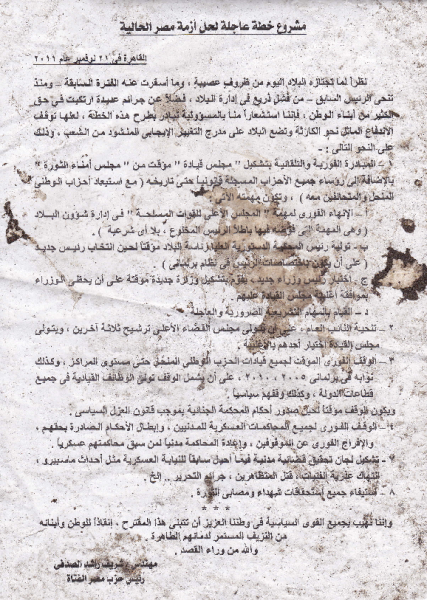 Materials are collected from demonstrations in Cairo’s Tahrir Square and published in complete English translation alongside scans of the original documents. The project is not affiliated with any political organization, Egyptian or otherwise.